The road signs may be stacked one over another. 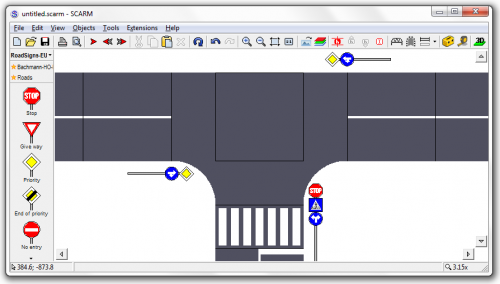 To do that, place the first sign and select it, ensuring that it is the only selected object on the plan. 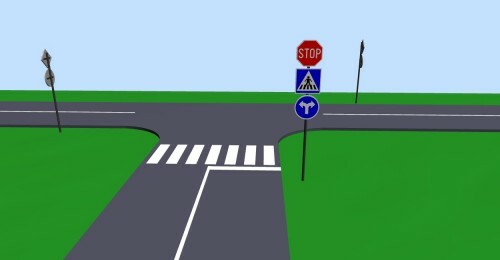 Now click over the next traffic sign in the selection panel that you want to be placed over the first one. 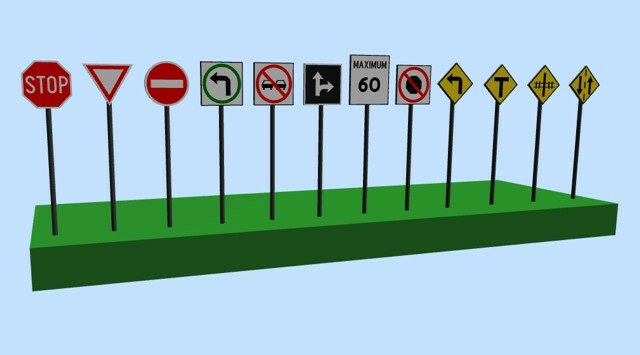 In that way, you can add as many signs on a post as you wish, but note that in the reality, there are no more than 4-5 signs on a single post as the drivers need time to see and perceive all them while passing around.